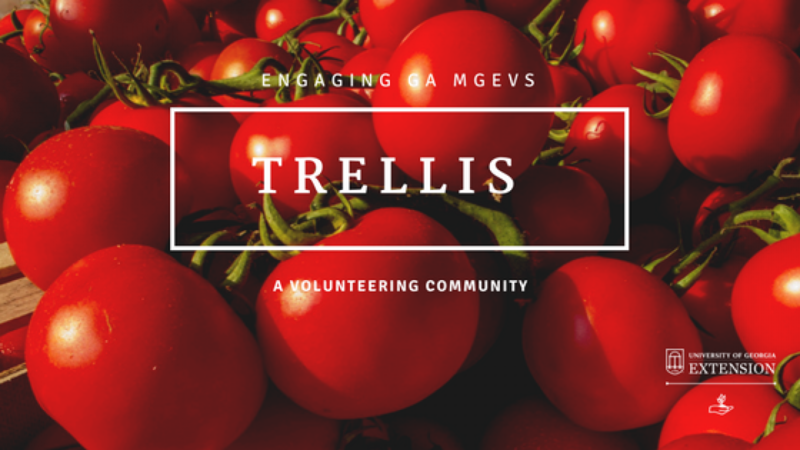 Trellis | Should you submit your MG project for a Search for Excellence award? Should you submit your MG project for a Search for Excellence award? Awards are a funny thing with MGEVs. They are considered unimportant by some and are a lifeline for others (I wish I had a picture of a hat I saw at the Southern Region conference — there was positively more badge bling than hat). So, when I start talking about how Georgia MGEVs should nominate a project for a national award, I hear the “Psshhaaaww…” before I finish speaking! No, nominating your project for an award is not about spotlight. We’re not into finding a creative way to pat your teammates on the back. Why would we give recognition to the passion, energy, and commitment that MGEVs invested in that project? Do we need to recognize our Extension Agent as coach and trainer? Should we honor the contribution made to the greater community through Extension outreach? Nope. Not getting warmed up. It’s not entirely about fame. It’s not about the writing of the application or unfolding the project’s stories. Never mind about juicy details come to light about how plants and gardening activities brought spark to retirement communities (like how residents started talking to each other when there were petunias and impatiens to critique). Powerful testimonies of youth who gained skills and landed a job because of the project MGEVs conducted at their residence home. Heart-warming smiles over precious painted pots presented as gifts-of-the-heart to moms and grandmoms. Nope, but what was happening around those petunias?! So, should you submit your MG project for a Search for Excellence award? I’d tell you, no, I doubt there’s much in it for you, but I’d be misleading you! Seriously, crazy-fun bus trip aside, consider telling your story! Consider giving a shout-out to your fellow teammates and Extension Agent. Nominate your project for an award and join us in Council Bluffs, Iowa, next September. We’ll be sitting there, biting our nails for you, cheering you on. And even if you don’t win, we’ll still be fantastically proud of you and your accomplishments! Conference link here. Award application and template on right side of page.